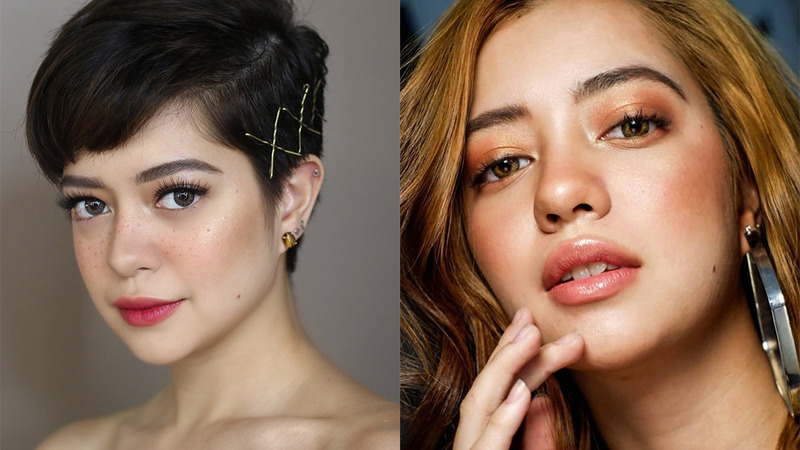 Sue Ramirez is always switching up her look and we can't get enough of it! But, like every beauty lover, she has beauty trends she always goes back to. Want to know what they are? Keep scrolling for the hair + makeup looks we constantly see on the singer-actress. Red lipstick is a classic. It's no wonder Sue wears it in various tones and finishes. Ever since she got a pixie cut, she's been adorning her short 'do with pretty hair clips. AKA drunk blush! The makeup trend gives her complexion a youthful, healthy look. Now we want to try this K-beauty trend, too! She loves to emphasize her big eyes with either a thick or thin wing. When Sue still had long tresses, her go-to casual updo was sleek, pulled-back hair. We're sure that once her hair grows back, she'll wear this super easy hairstyle again! You can't deny that ~lip gloss~ made Sue's lips appear plump and soft.